The Retrax PowertraxPRO MX is an electric retractable truck bed cover that uses a wireless key fob to open and close the cover. Electric Powered The Retrax PowertraxPRO MX utilizes a remote keyfob to open and close this cover with the touch of a button. An electromagnetic brake allows it to lock in any position along the rail. Cargo Light The Retrax PowertraxPRO MX has a keyfob operated cargo light integrated in the canister with an automatic shut off timer. Matte Finish The Retrax PowertraxPRO MX cover has a durable, scratch resistant matte powdercoat finish. Easy Install The Retrax PowertraxPRO MX cover has an easy clamp-on install that can be done by anyone with basic hand tools. Our mounting system is adjustable for a perfect fit since no two trucks are the same, a no hassle fit every time. The Retrax PowertraxPRO MX is constructed from industrial strength aluminum slats that provide unsurpassed strength and ruggedness. The incredibly resistlant matte finish on the Retrax PowertraxPRO MX provides dent and scratch resistance. The Retrax PowertraxPRO MX is operated via a wireless remote keyfob, easily opening and closing with the touch of a button. The Retrax PowertraxPRO MX truck bed cover offers you ultimate cargo protection with the luxury of hands free operation. The integrated LED cargo light is also operated by the keyfob with an auto shutoff feature. An electromagnetic brake allows the cover to lock in any position along the rail allowing you to have unlimited cargo hauling capacity. The Retrax PowertraxPRO MX tonneau cover comes completely assembled and can be quickly installed on your pickup. It can be easily installed with the built-in clamps. Each product comes with easy to understand vehicle specific installation instructions. The RetraxONE, RetraxONE MX, PowertraxONE, PowertraxONE MX, PowertraxPRO and PowertraxPRO MX have a limited lifetime warranty for the failure of materials and workmanship. Warranty replacement costs will be prorated after one (1) year for the RetraxONE and RetraxONE MX, and three (3) years for the PowertraxONE, PowertraxONE MX, PowertraxPRO and PowertraxPRO MX. The RetraxPRO and RetraxPRO MX feature the Legendary Lifetime Guarantee for the failure of materials and workmanship. Warranty replacements will be issued at no cost for the life of the cover to the original owner. 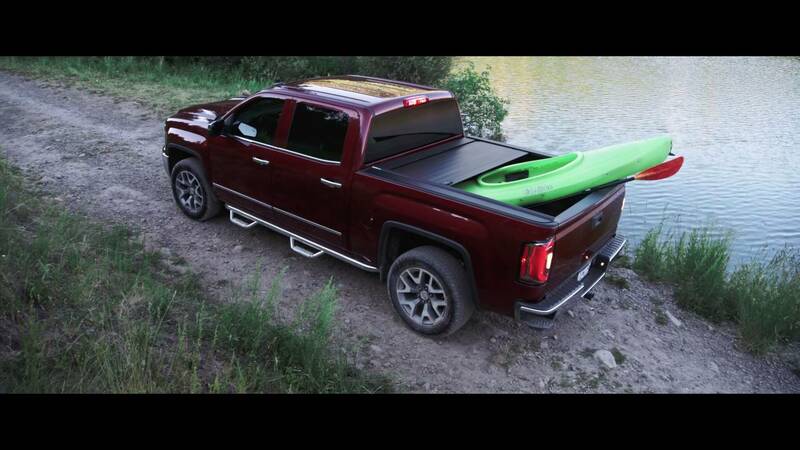 Any part of a Retrax retractable pickup bed cover that is found to be defective under the terms of this warranty will be repaired or replaced, using either new or reconditioned parts, at the discretion of the manufacturer. In determining what constitutes a failure under the terms of this warranty, the decision of the manufacturer will be final. This warranty is applicable to the original purchaser only and is not transferable to subsequent purchasers. The manufacturer does not accept any responsibility in connection with the installation of any of its products by its dealers or agents. Without regard to an alleged defect of its products, the manufacturer does not, under any circumstances, assume responsibility for inconvenience, loss of time, revenue or other consequential damage including, but not limited to, expenses for telephone, food, lodging, travel, loss or damage to the vehicle the products are installed on or loss or damage to personal property of the purchaser or user of the products. The manufacturer does not undertake responsibility to any purchaser for warranty expressed or implied by any of its dealers, distributors or agents beyond what is contained herein. The manufacturer reserves the right to make changes in the design of, improvements to, or warranty of its products without imposing any obligation upon itself to provide the same for any products theretofore manufactured. Under no circumstances shall Retrax be liable for special, indirect, incidental or consequential damages sustained in connection with the Retrax model covers.